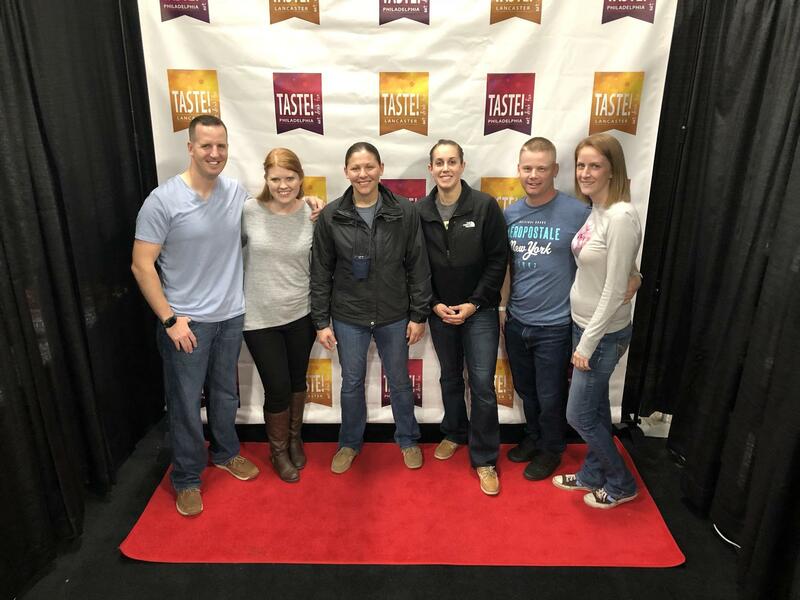 Thank You One Step Events, LLC - Gourmet Shows!! This was such an amazing event, I cannot thank you enough for the incredible generosity. One Step Events, LLC - Gourmet Shows, you rock! 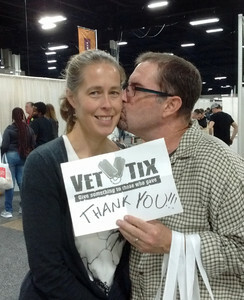 Vet Tix, you rock! Thank you thank you thank you! Taste! 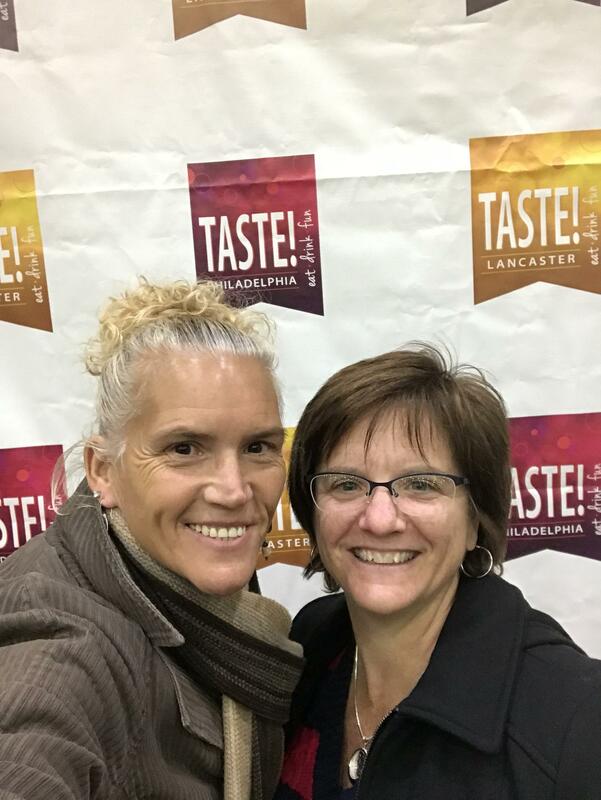 Lancaster was great! I bought several items to tickle my palate. 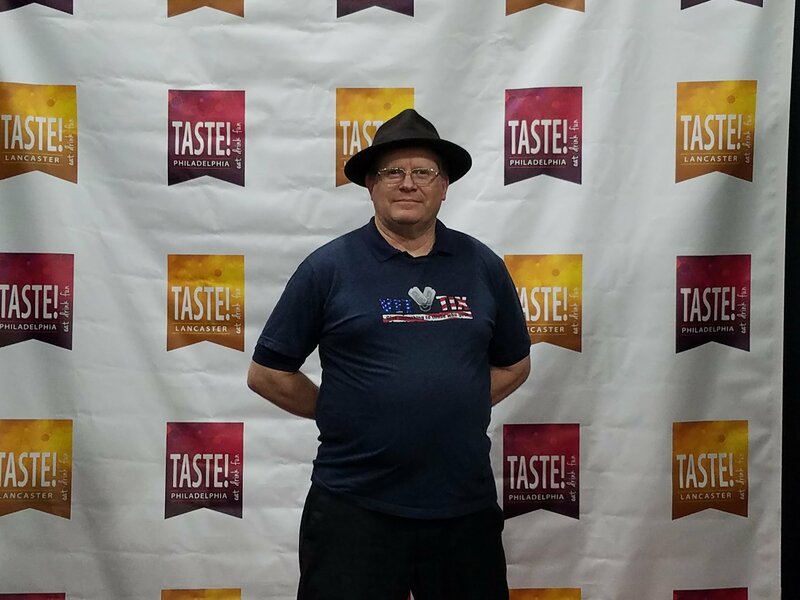 I want to thank One Step Events, LLC - Gourmet Shows and Vettix.org for an enjoyable afternoon. 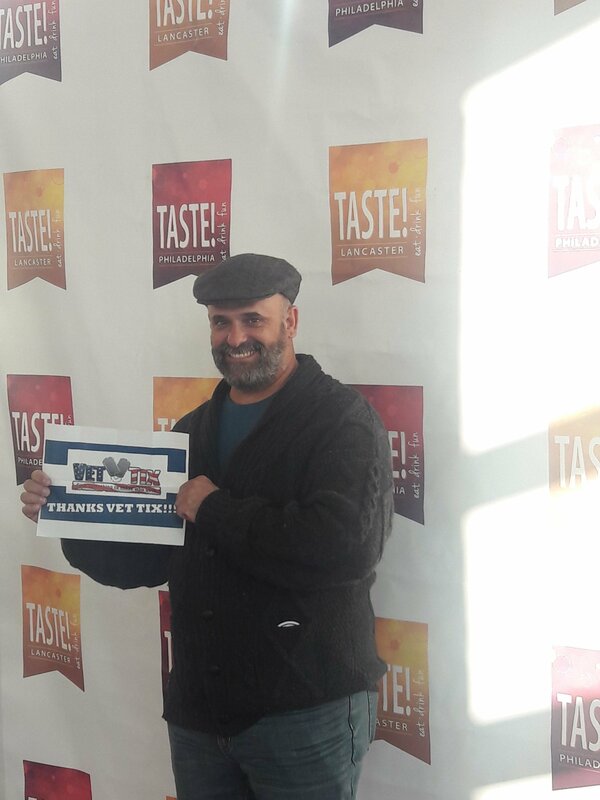 I would like to thank One Step Events and Vettix For the tickets to the taste of Lancaster. The food was delicious and the drinks were very good also my Spouse and my friends and I had a wonderful time. OMG! We had so much fun. 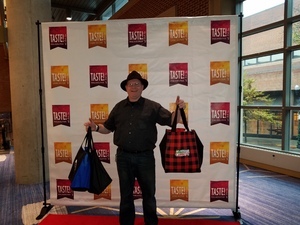 I am a foodie and love to be around the industry. 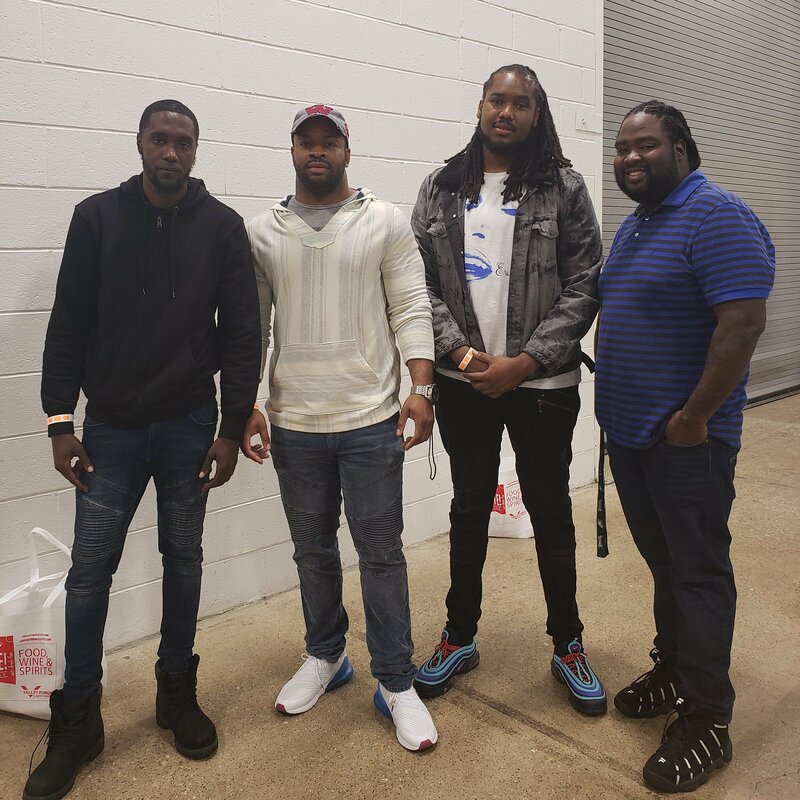 Thank you to One Step Events for donating the tickets. We met so many nice chefs from the Food Network and the local area. Good food and good drink. What more can anyone ask for. Thank you for a memorable evening. 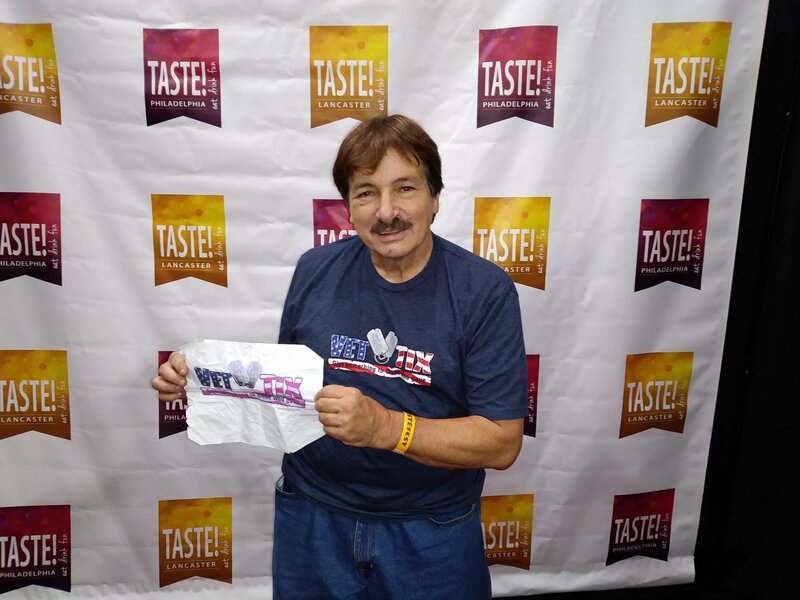 Thank you VetTIX for an awesome experience at the Taste! 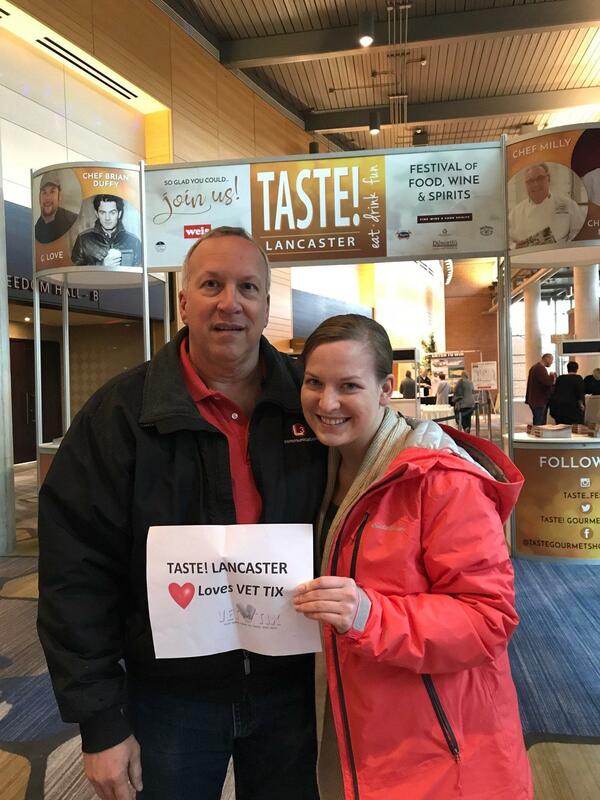 Lancaster! We had a great time! Thank you so much for tickets to this event! 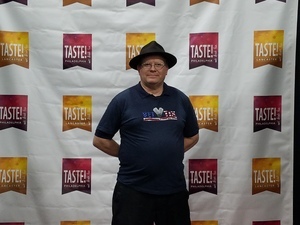 It was a very nice evening with so many wonderful foods and drinks to sample. 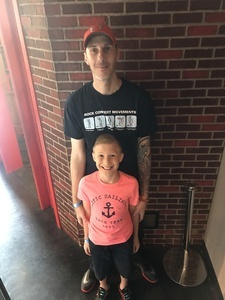 Thank you for loving our military families. My wife and I had a great afternoon sampling from local vendors in Lancaster, pa. What a great way to learn from your surrounding local while having a blast. Once again, thank you Vet Tixs for a great experience. This was a fantastically cool and different way to spend an evening. 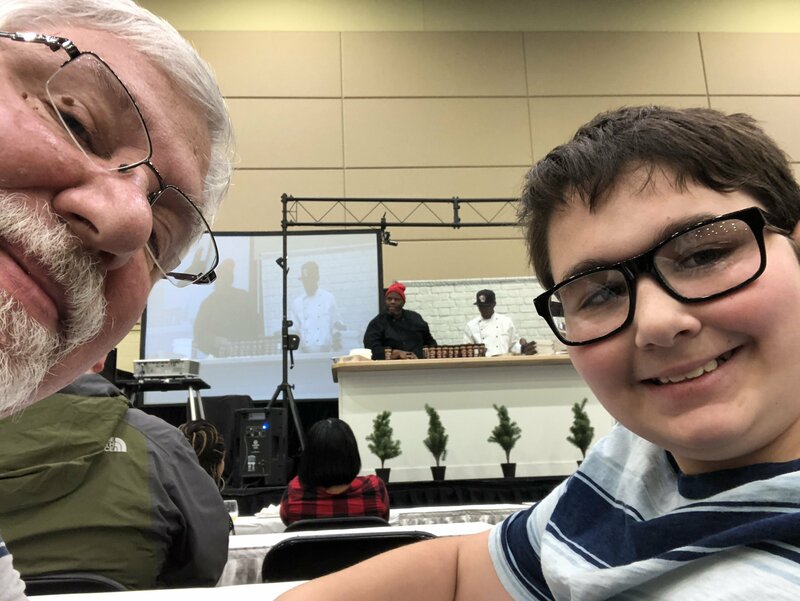 My son, the would-be chef, felt like he was in the presence of rock stars with the celebrity chefs. We really appreciate the opportunity you gave us. 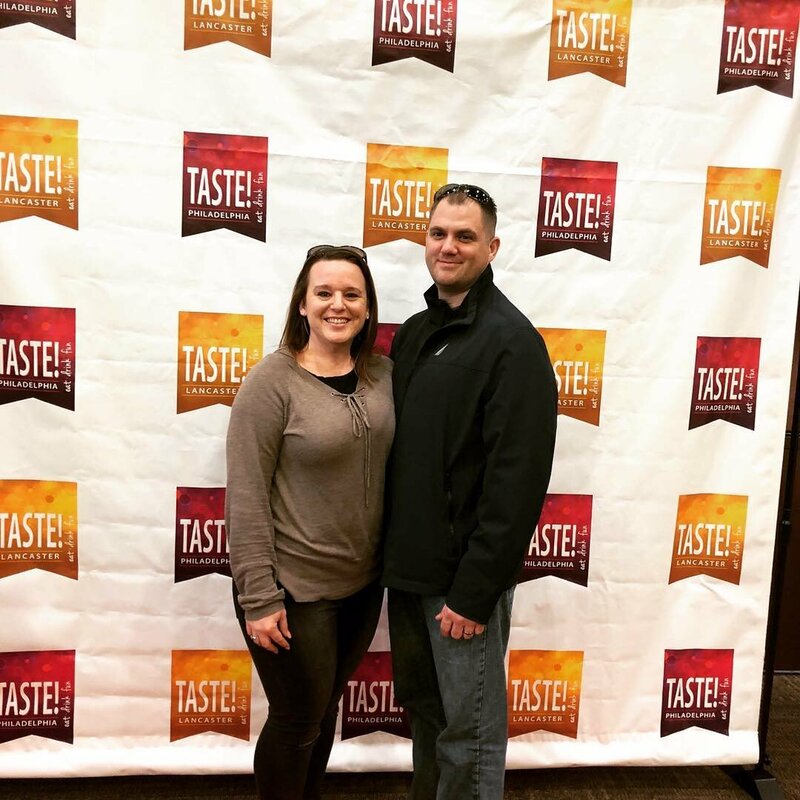 Thank you One Step Events for the tickets for Taste! What a fun evening. 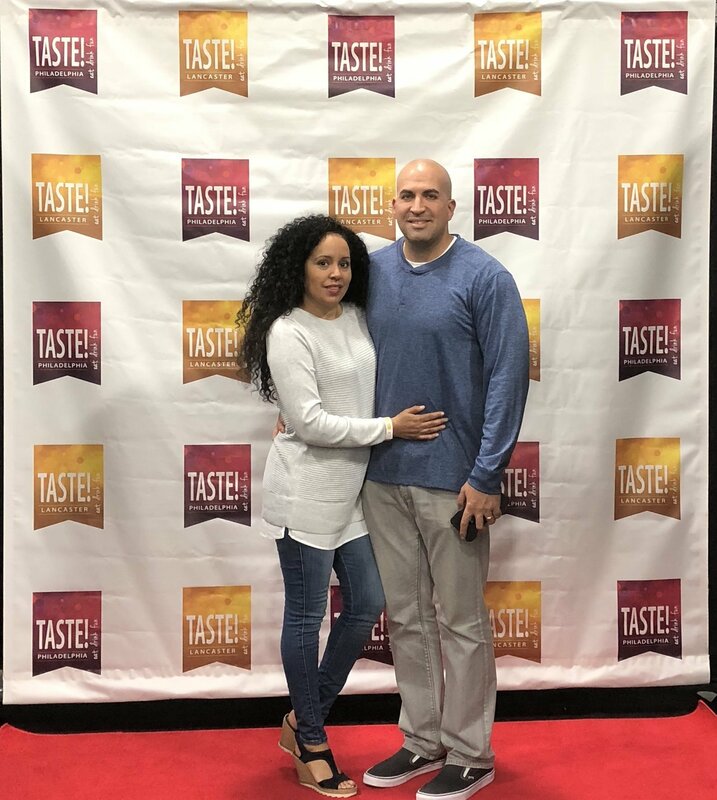 We had such a great time watching the cooking shows, eating all the samples, and tasting all the wines. The tickets were greatly appreciated. 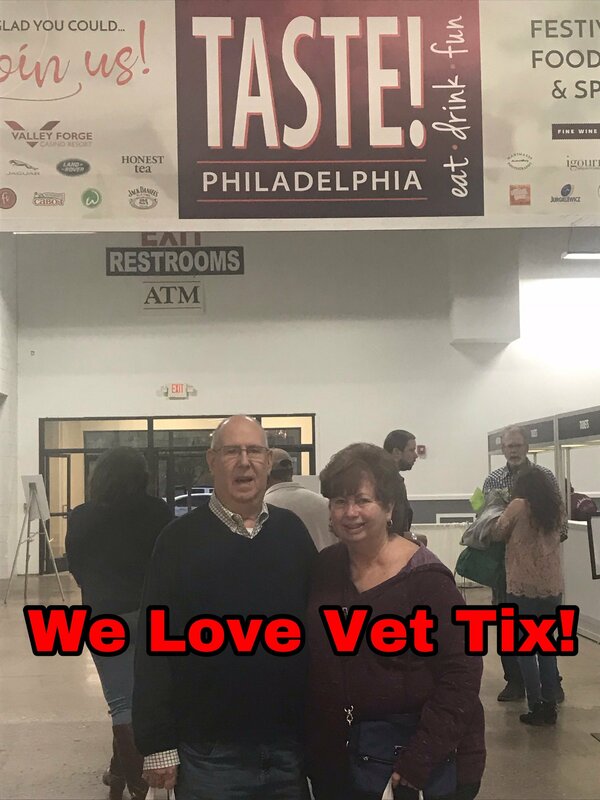 Thank you Vettix for this wonderful opportunity to attend Taste Lancaster. 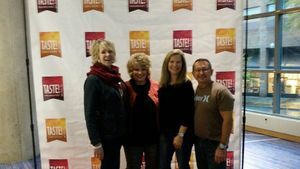 We had an amazing time meeting local and celebrety chefs. thanks. it was a great event for my family to attend. This was an amazing event. The food, drinks, and vendors were awesome! 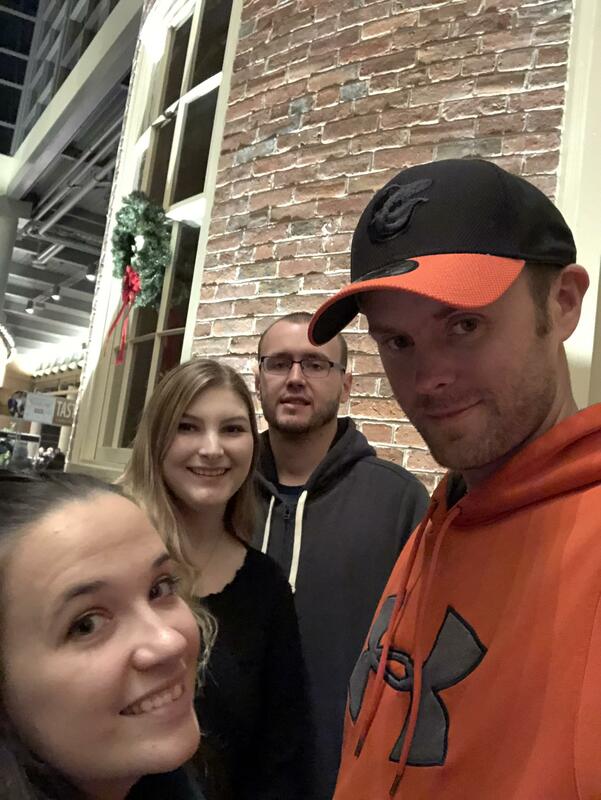 Thanks for allowing me & my family to enjoy an evening out! This event was just so good all around, a bit of a drive but so worth going. Various restaurants and food distributors offering samples and discounts. Several celebrity chefs and and bands performed on stage. I bought several items and went home with bags full of merchandise that may become gifts for the holidays if I don’t consume them beforehand. 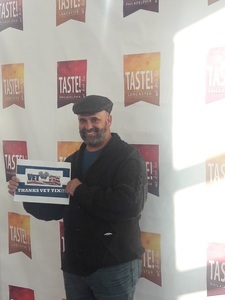 Thanks again “Taste” One Step Events LLC and to Vettix for making it all possible. 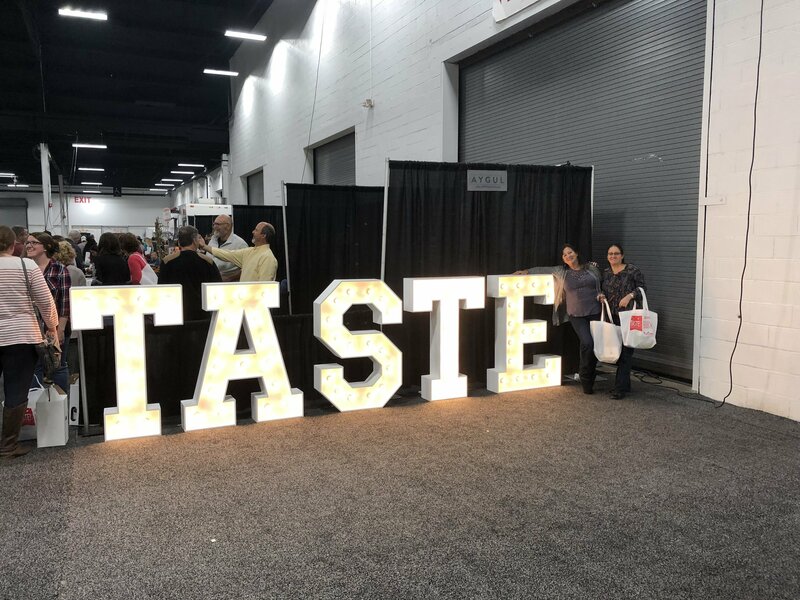 What an amazing evening, we had so much fun sampling beer and wine, tasting different cheeses and watching a host of chefs preparing sample dishes. 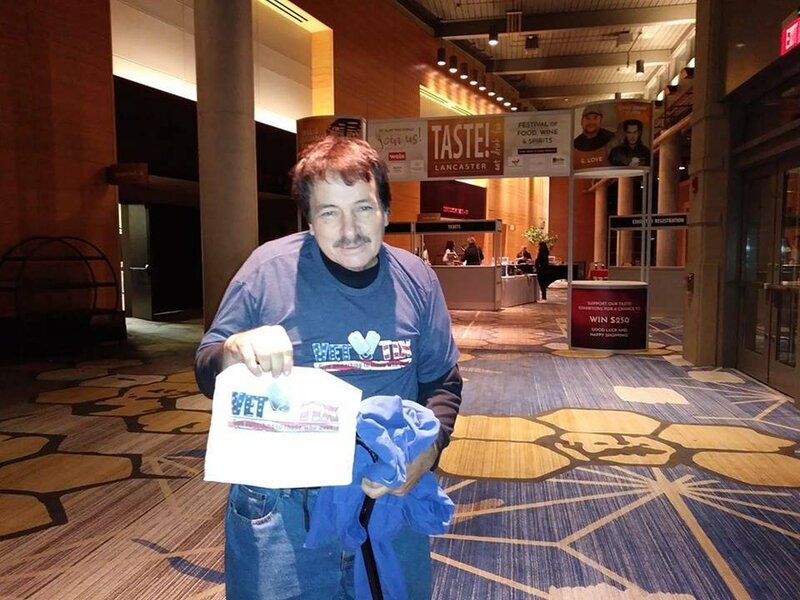 Thank you Vettix and One Step Event for providing the opportunity to attend an exciting evening. 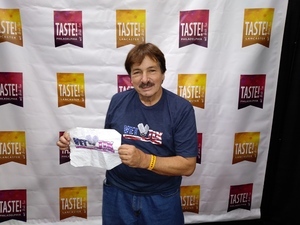 Thank you, Vettix and One Step Events, LLC - Gourmet. 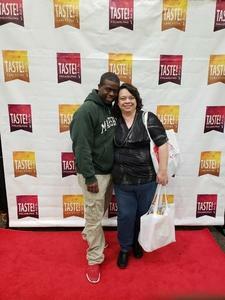 My husband and I had a wonderful time!! We got to try many types of food, wine, and beer. Awesome Saturday!! 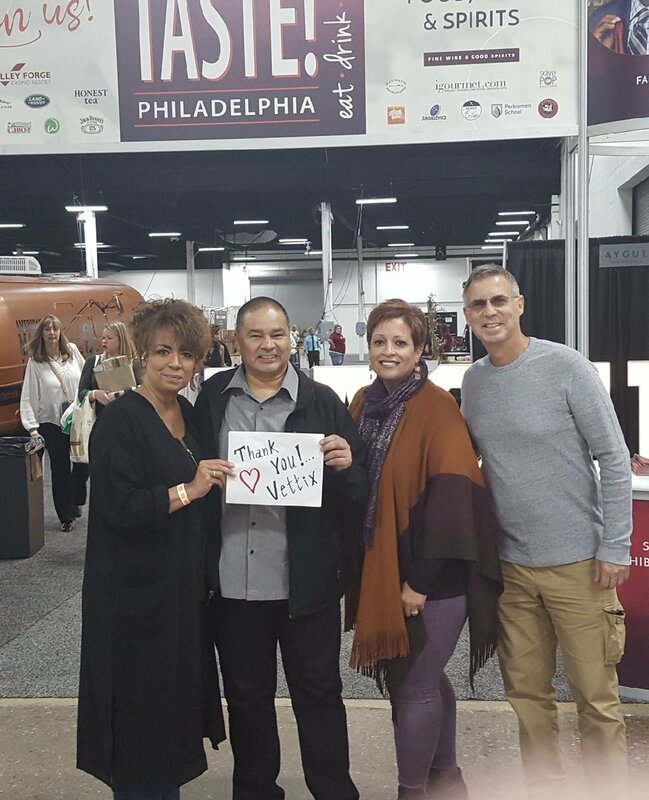 Thank you Vet Tix and one Step Events, LLC - Gourmet Shows for an amazing event. Had a wonderful time with good food and great people. 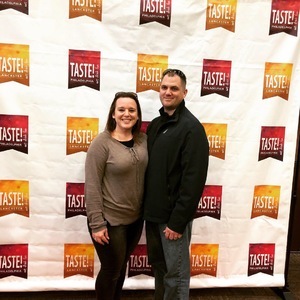 Thanks so much for tickets to Taste!! Lancaster. My daughters and I enjoyed it so much. You guys ate rhe best! Thanks, it was a great time! 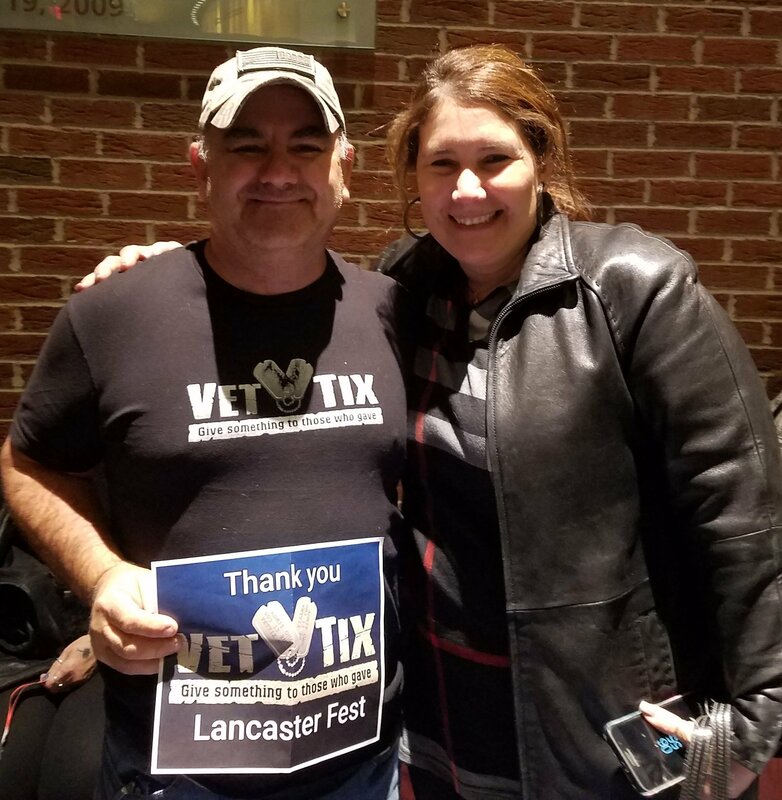 Met a fellow Vet who joined Vet Tix! 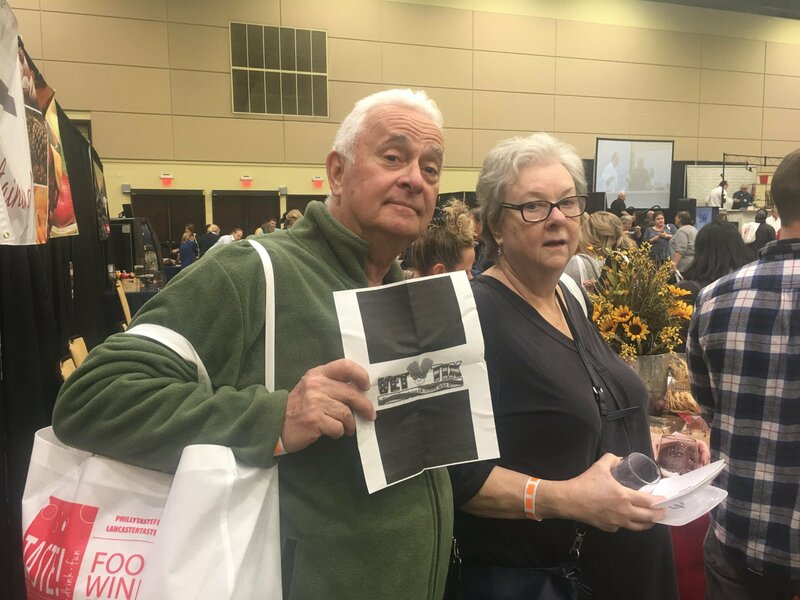 The food samples were all delicious. 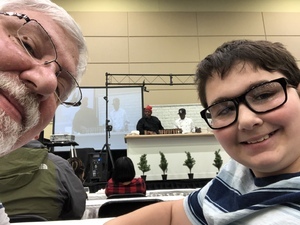 We had a great time and the chef demos were all very instructive. Thanks for a great day. 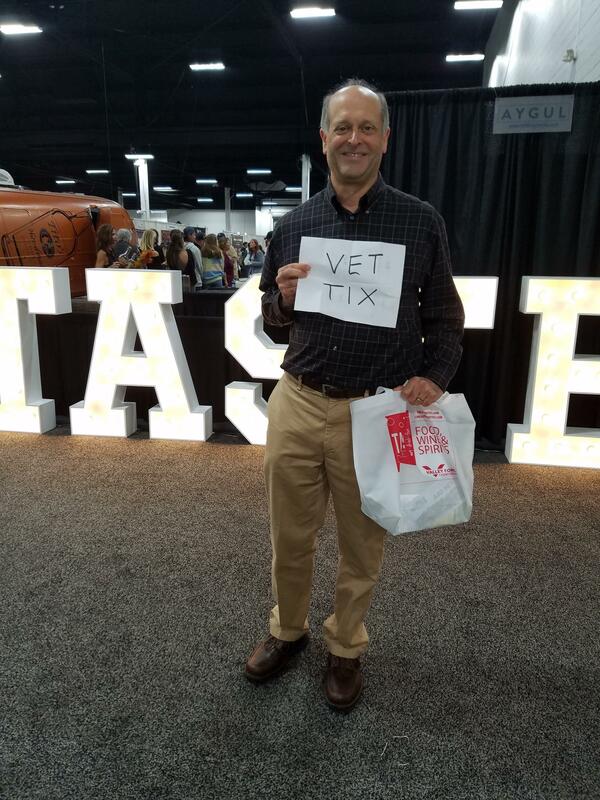 Thank you Vettix and One Step Events LLC-Gourmet shows for the tickets and for a great time at Taste! Philadelphia. We had a lot of fun and got to try lots of new fods. Great event lots of items and information. My family really enjoyed the entire experience. Thanks for supporting veterans we all appreciate what you do for us! Great time with my wife. Thank you very much for this awesome experience! Semper Fi. Your donations are much appreciated! 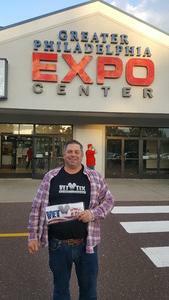 Vettix for an awesome night for me and my friends. 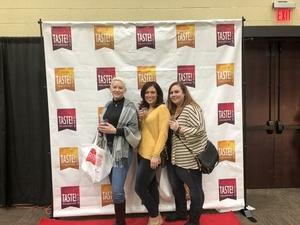 Was not expecting to have as much fun as we did at Taste! 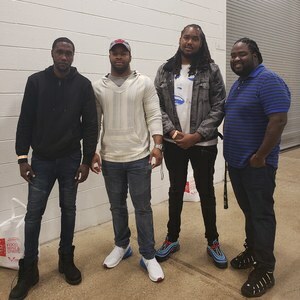 I can’t thank you enough for allowing us to experience this wonderful event! Thank you thank you thank you, One Step Events LLC. Your gratitude is very much appreciated. 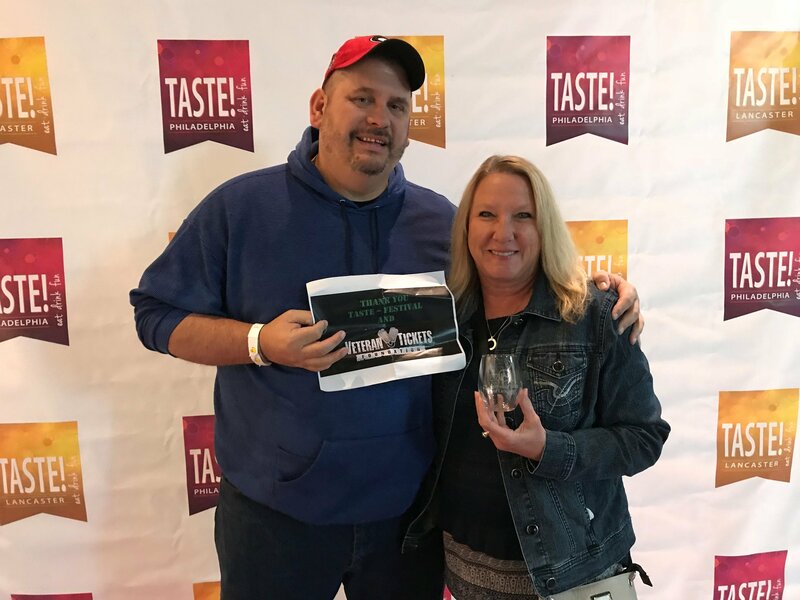 I wanted to say thank you to One Step Events LLC Gourmet Shows for their generous donation of the Taste! Philadelphia tickets. 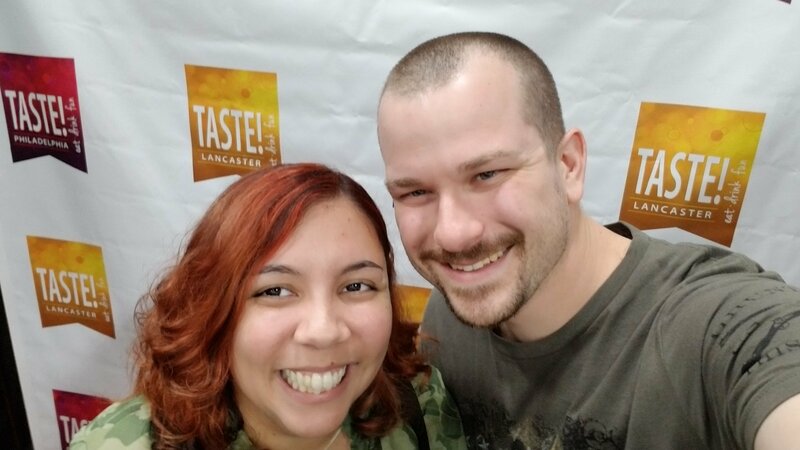 This was mine and my wife's first food/culinary show and I must say we had a blast. 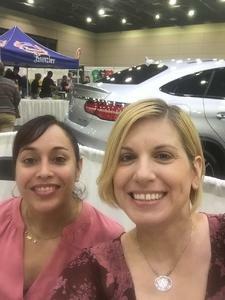 So much great food/drinks/vendors and culinary demonstrations. We left with a bunch of food from companies I had never heard of (but will definitely be buying from again) and some great cooking tips to use at home. Again thank you for this unique and amazing experience. 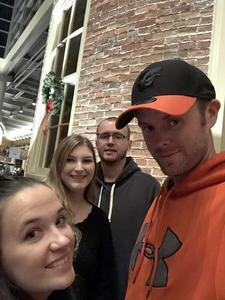 My wife and I don't get the chance to have a "date day" very often anymore. However this event was the perfect opportunity for the two of us to enjoy some "us" time. Thank you so much for offering the chance to attend such a high quality event. 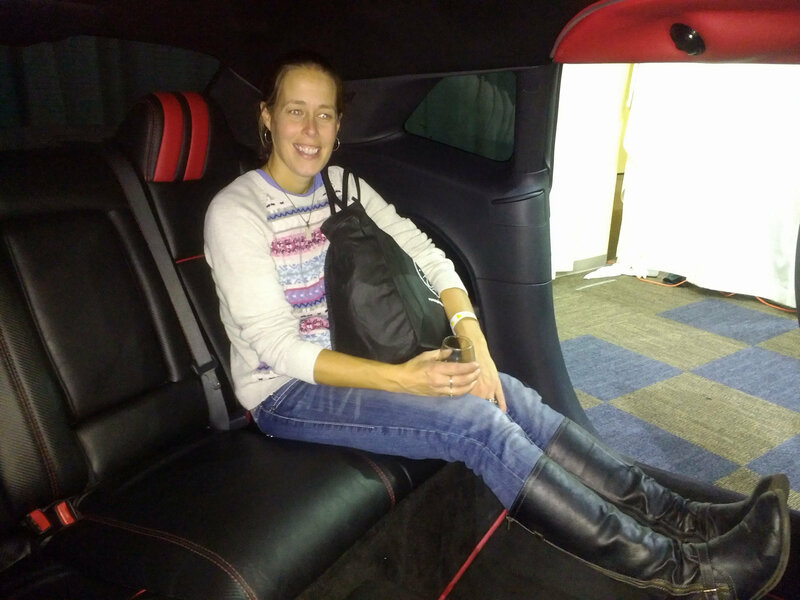 Thank you One Stpe Events. The event was a lot of fun. The choices of food and drinks were amazing. 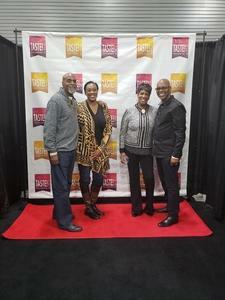 My family and I had a wonderful time at the event. This was such a fun afternoon. So many new wines to try. Delicious food samples. Things to buy. Cooking demonstrations. I had some of the best chocolate ever. Plus spending the day with good friends. Thank you so much One Step Events for giving me tickets to The Taste event. It was greatly appreciated. 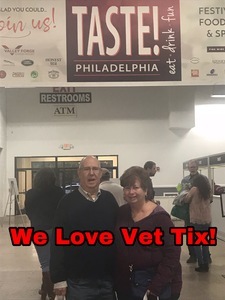 Thank you so much to Vet Tix, and One Step Events, LLC - Gourmet Shows for providing us with tickets to Taste Philadelphia. This was a fun time and great experience. 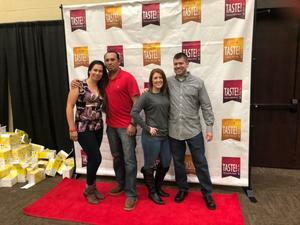 My wife, daughter and myself, enjoyed tasting many different food items and wine. Thank you again. This was very much appreciated! Thank you to One Step Events, LLC for donating tickets and allowing my wife and I to experience Taste! Philadelphia. 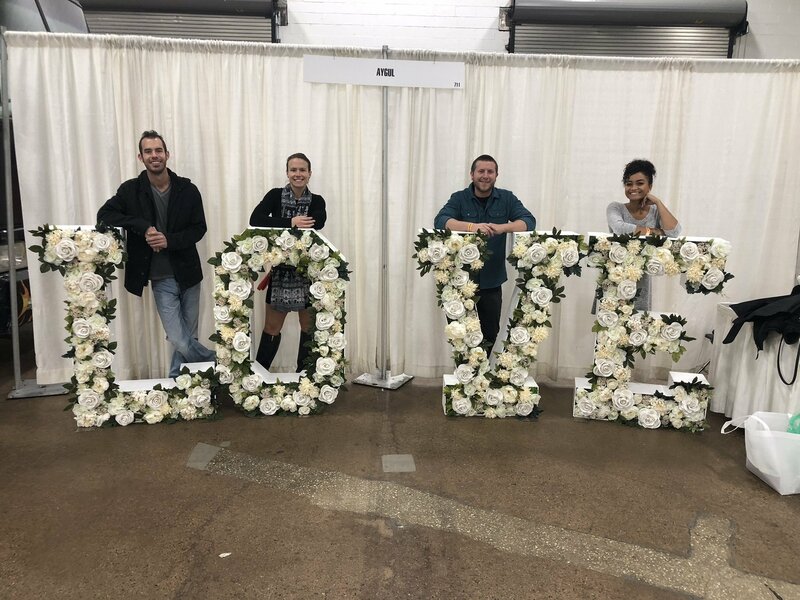 We had a great time and it would not have been possible without you. We deeply appreciate it. Vet Tix, Thank you once again for the opportunity to attend such great event. Thank you One Step Events, LLC - Gourmet Shows. 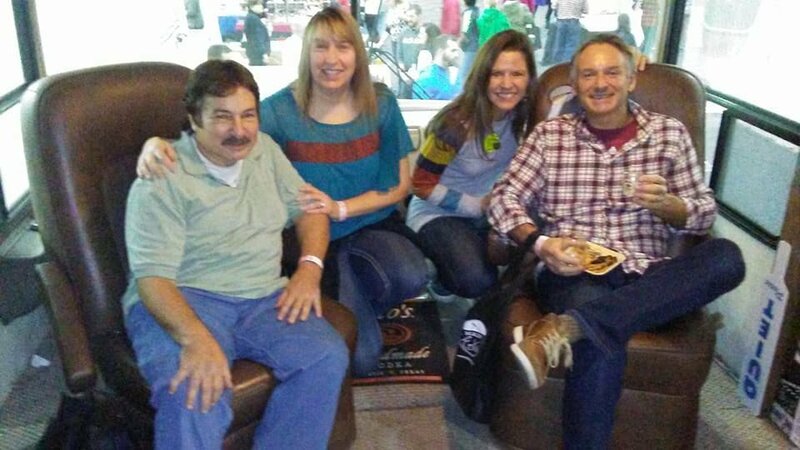 My family had a wonderful time. Some really wonderful samples. We appreciate the tickets greatly!! Thank you to One Step Events, LLC and to Vet Tix for the tickets to Taste! Philadelphia! 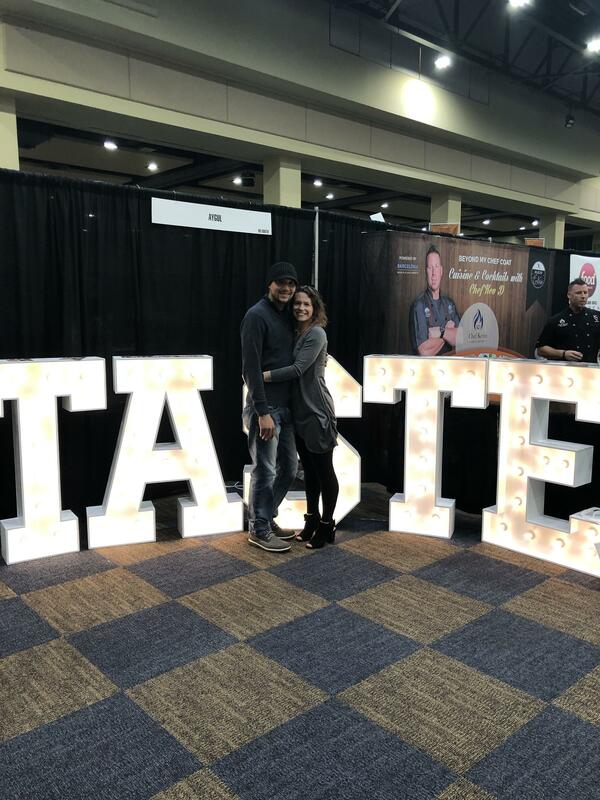 We had a great time sampling some amazing food and drink, and even got to mingle with some celebrity chefs! Thank you so much! Had a great time sampling food and desserts and wine tasting at the Taste Philadelphia event. Thank you to the donors and VetTix for providing tickets to an to a fun and enjoyable afternoon. 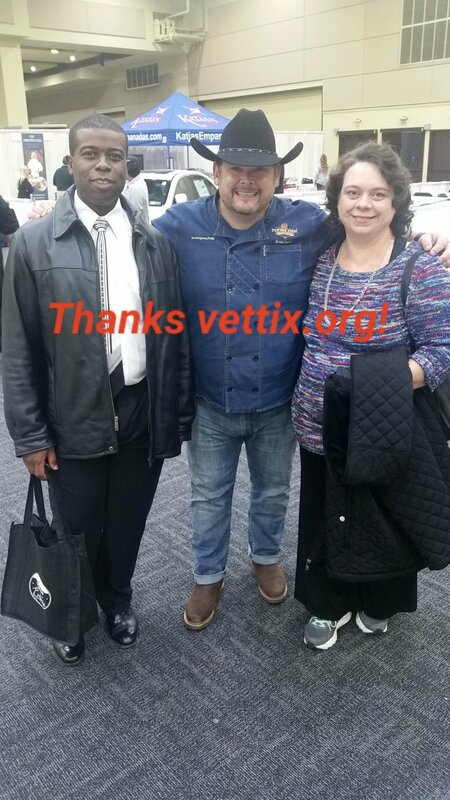 Thank you Vettix and One-Step events. 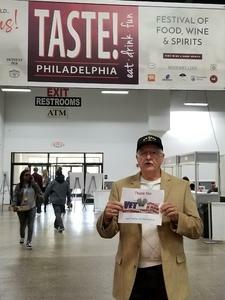 My family and I had a great day at Taste Philadelphia. Had some great food and learned a few cooking tricks. Thank you, for a Great time. The food and drinks were amazing. We absolutely enjoyed Taste! Philadelphia yesterday! 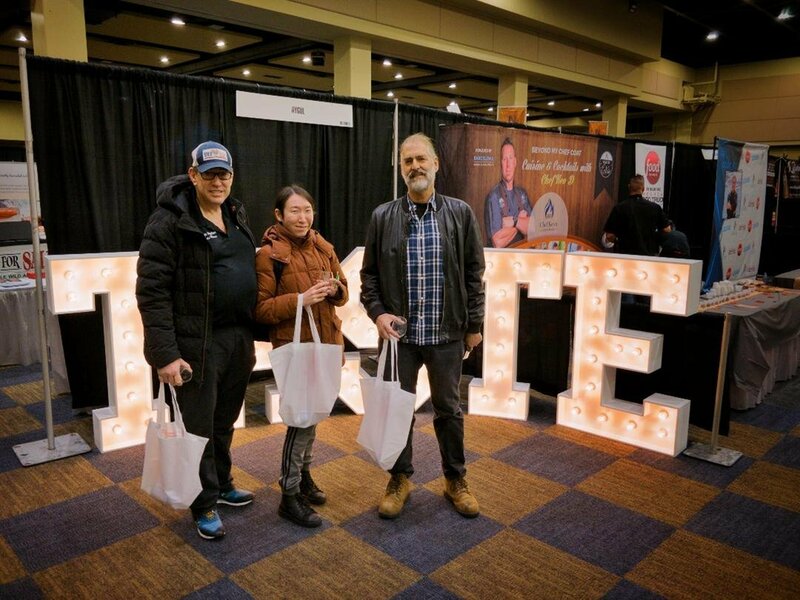 From the incredible food and drink samples to meeting celebrity chefs. 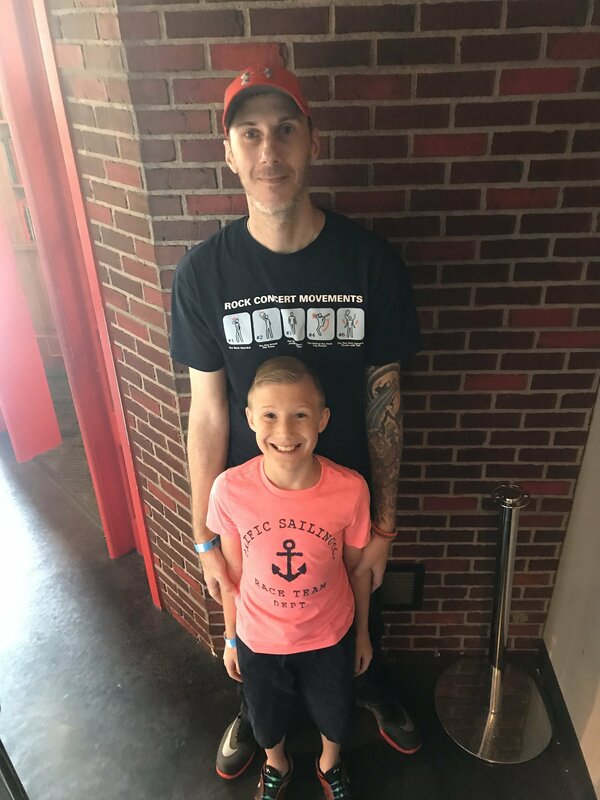 Thank you Vettix for creating this opportunity! Thank you very much for a wonderful afternoon! You gave 2 foodies an opportunity to do something we would not have been able to do. 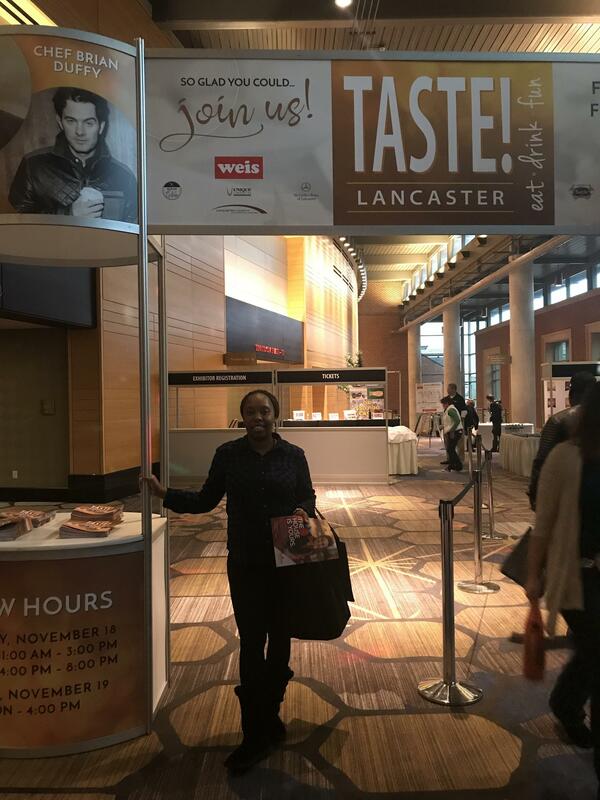 Thank you, Gourmet Shows, for the opportunity to attend the event in Lancaster. I was able to bring a friend along to share the experience with me. 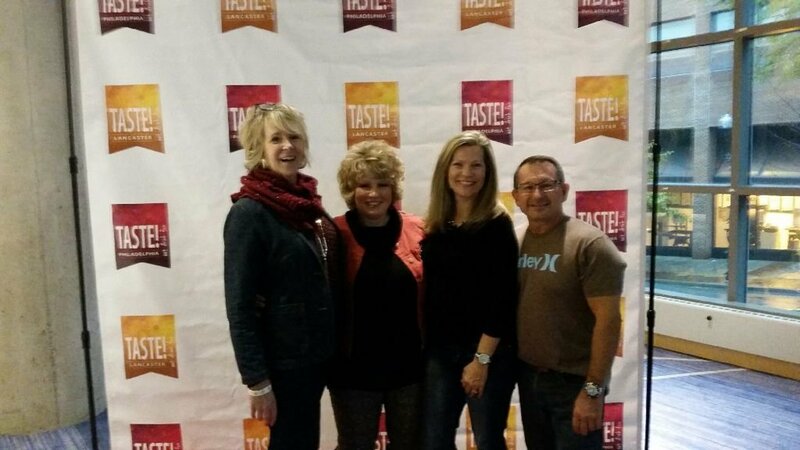 We have so much fun meeting the celebrity chefs and tasting food and drink from vendors near and far. Thank you for "The Taste of Lancaster" tickets. 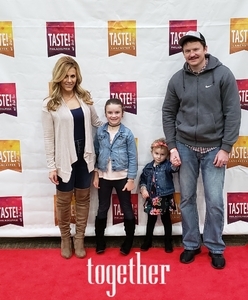 Our family had a wonderful time tasting new food and drinks of the area. Thanks again for your generosity. Thank you Gourmet Shows, it was a great experience for me, my wife and teenage daughter. Lots of food and drink ideas. Thank you for the tickets for this event, it was amazing. Great food, wine, beer, and various spirits. 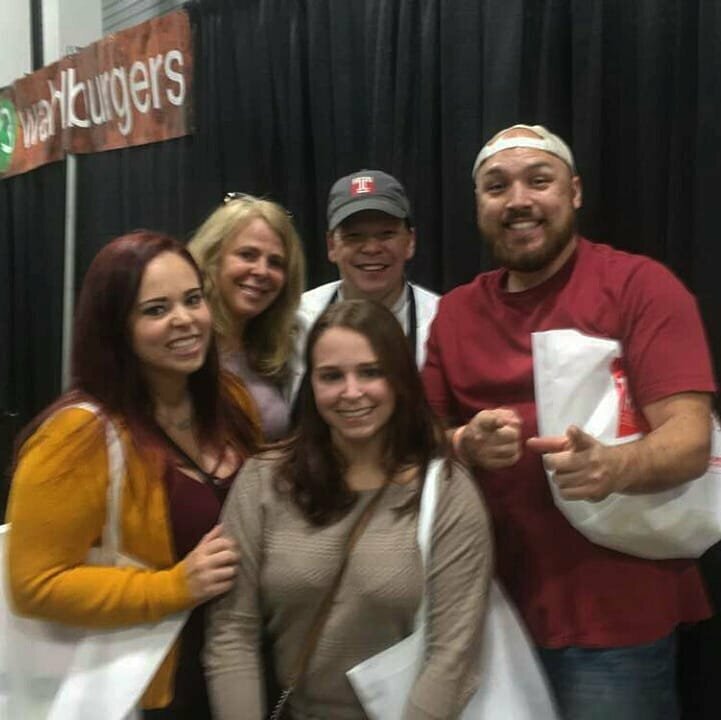 People were super friendly and it was just a great experience to see some amazing chefs from TV cooking right in front of us. 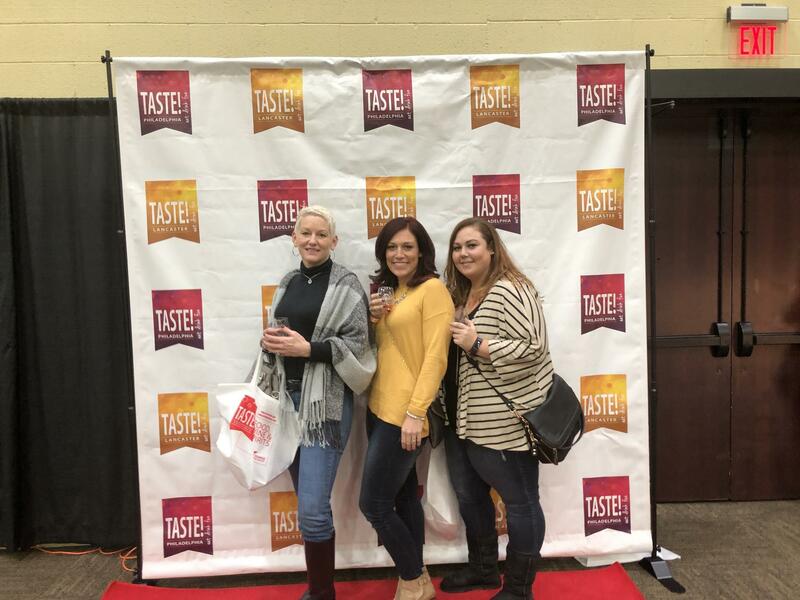 Thank you so much for the tickets to Taste! 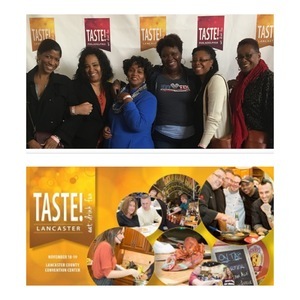 Lancaster Festival. 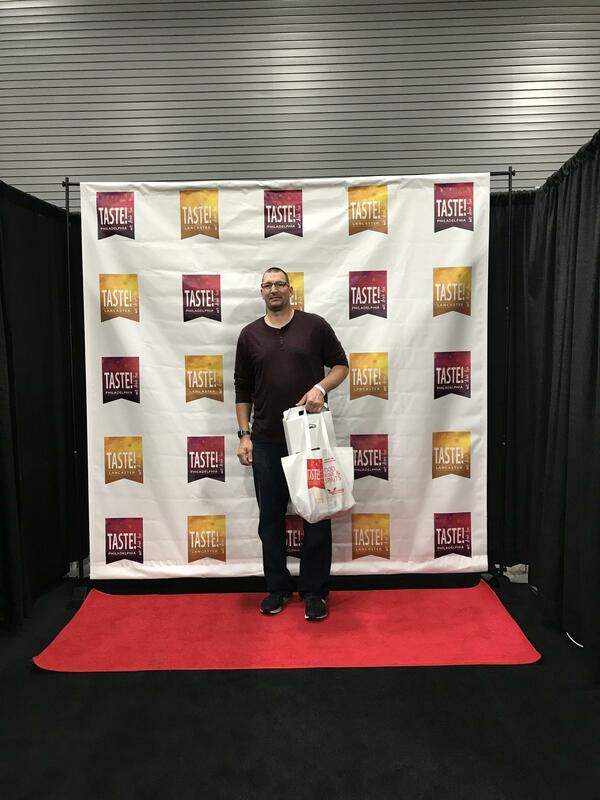 It was my first time at this type of event, and it was absolutely fantastic. I'm so thankful that I was able to share this day with my oldest son (who was born at West Point). He loved it too! Thank you for the tickets to the show! It was a unique experience that made for a fun date. Thanks so much! Thank you so much Gourmet Stores!! My wife and friends and I had a great time at the Taste of Lancaster. Tasted some unique foods and wines and, spirits and beers. 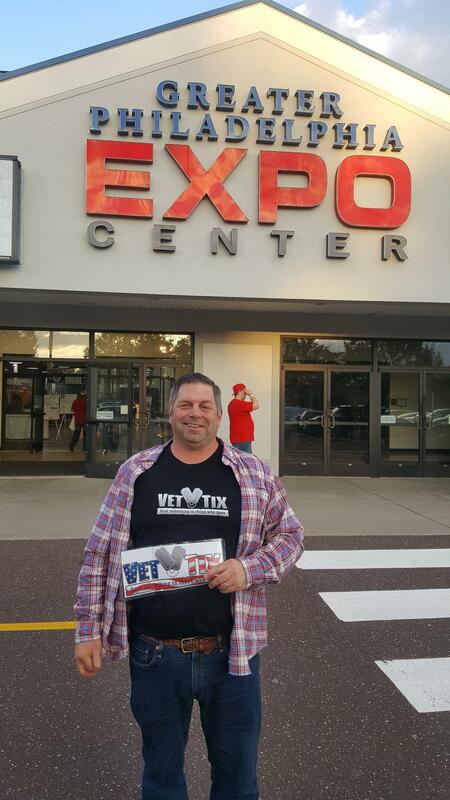 Thank you Vettix for the opportunity to enjoy this event, I look forward to more events in the future. Thank you for the tickets. My husband and I had a really good time. This gave us the best date night we’ve had in a while. 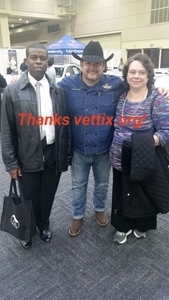 VetTix. 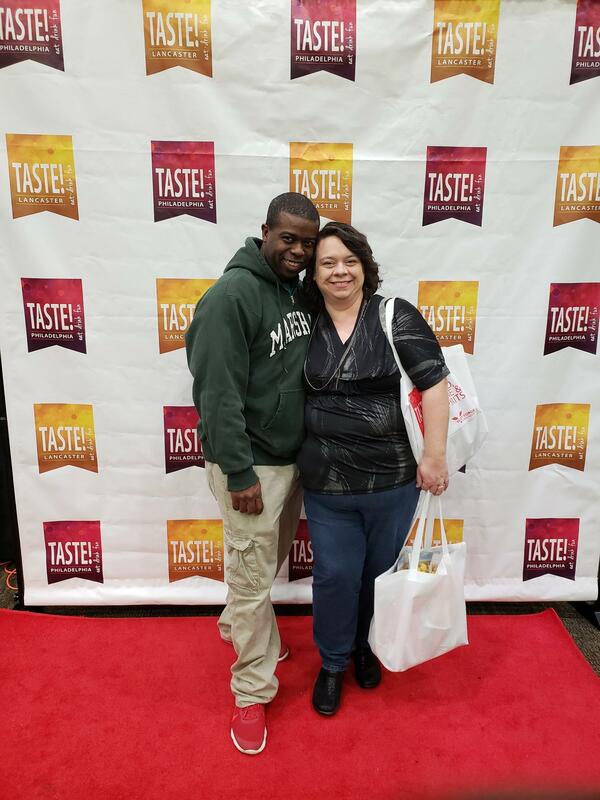 Thank you for giving me the tickets for the Taste! 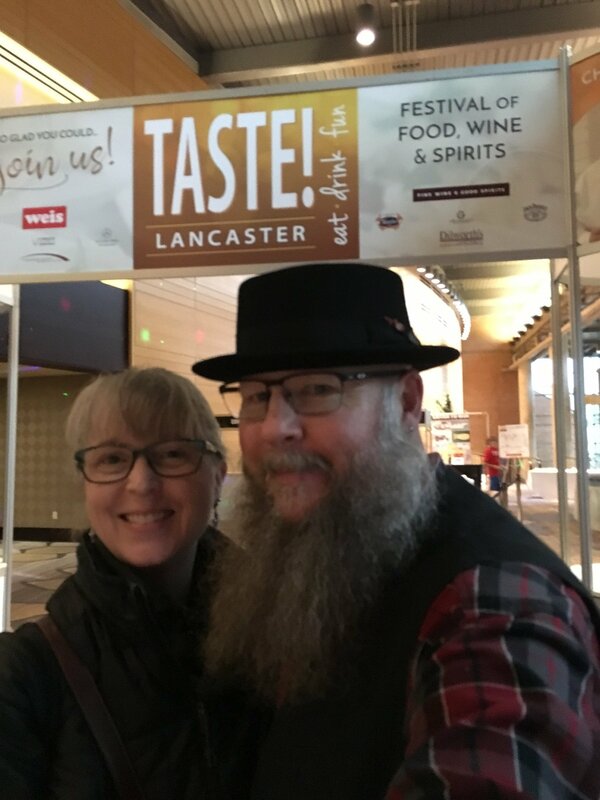 Lancaster Festival. It was a very enjoyable experience. It was a wonderful event. I've never been to it in the past, and this is the first tickets I've ever received through VetTix. I tried to post my photo on the VetTix.org website, but could not find a link where I could do it. 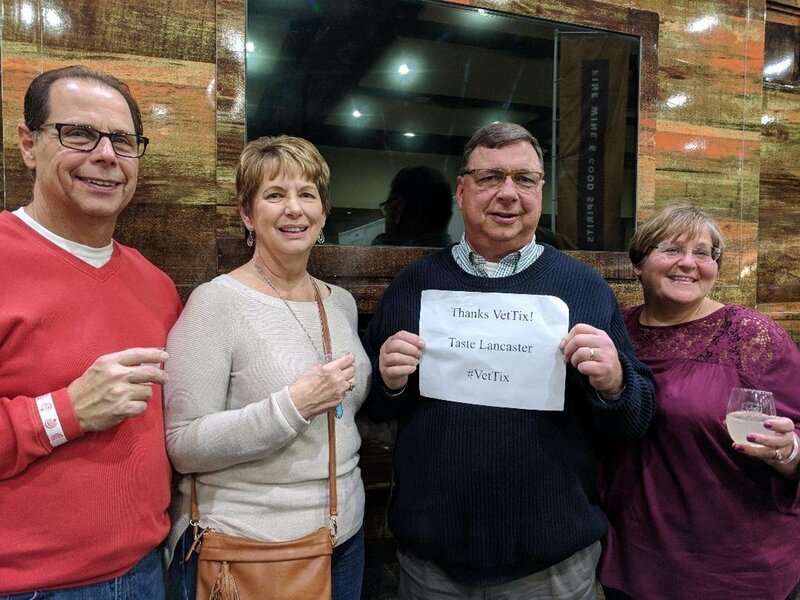 So thank you VetTix! I truly appreciate the opportunity for my wife and I to attend this event. Due to many different issues in our lives we don't get the chance to have any time to just ourselves. This was the perfect thing for the two of us to reconnect as husband and wife. 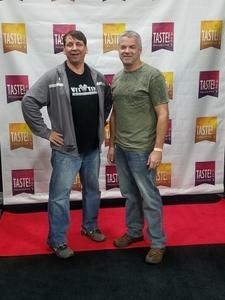 Three cheers to VET TIX and Gourmet Shows for allowing us to experience this event! 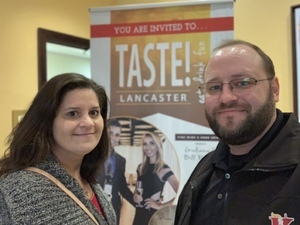 A big thanks to Gourmet Shows and Vet Tix for the tickets to Taste of Lancaster this past weekend. 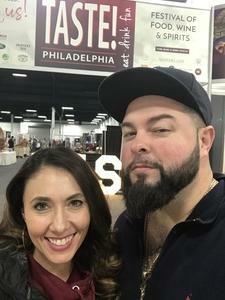 My wife and I had a great time tasting, sipping and shopping. We enjoyed the local and not so local vendors who participated. 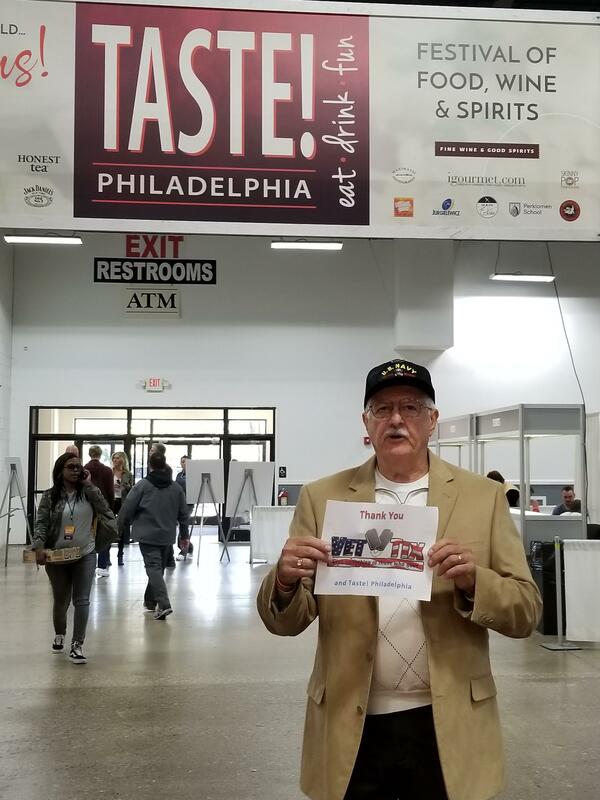 One of the best parts of the day was meeting a combat vet who was a vendor sharing juices from the juice bar he owns in Philly( Little Man's Juice Bar and Grill). 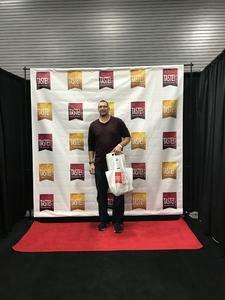 I want to thank Gourmet Shows and Vettix for a unique experience. The food samples from the vendors were fantastic. Filled up a few bags with Some selected purchases. I hope they have this available for Veterans next year. What a fun day sampling all the great food and my girlfriend loved the wine. Thank you Lancaster Taste and VetTix, we had a blast. Thank you Gourmet Shows! What a fabulous afternoon we had! 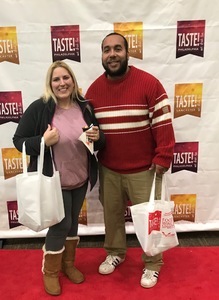 We are still full from all of the delicious food samples. We tried many new wines as well as sampled vodka, rum, and whiskey. We also got to have a Bloody Mary made by G.Love and attend Chef Duffy's cooking show. The picture I am submitting is all of us sitting in the party bus owned by Tito's vodka. 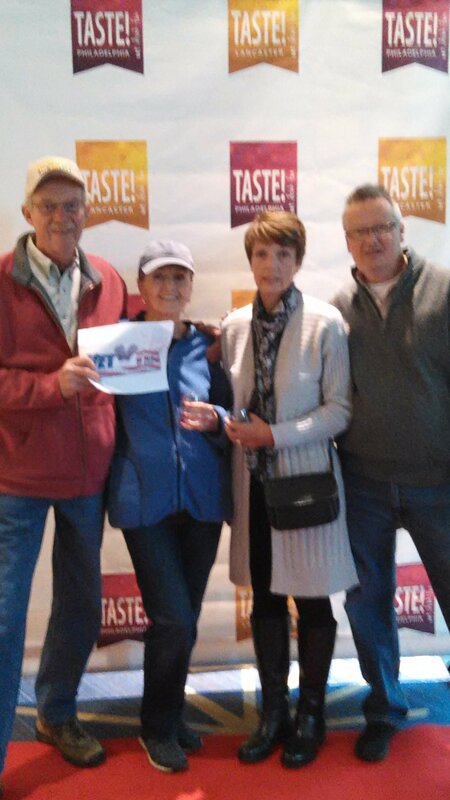 We really enjoyed the the Taste Wine and Food festival. Thank you so much for donating the tickets so we were able to attend. Our sincere thanks to Gourmet Shows for tickets and sponsorship to Taste! 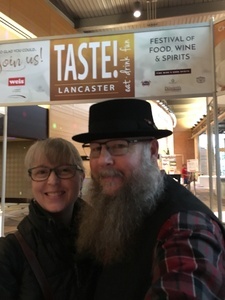 Lancaster Festival. It was amazing! Food and drinks from some of the best local and national chefs. 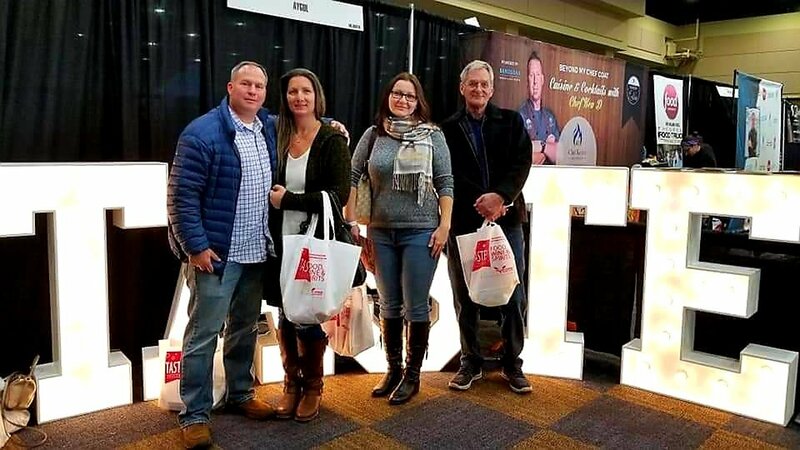 Our military family attended because of your generosity. Thank you. Thank You Gourmet Shows for your generous tickets donation!! . The event was the best! 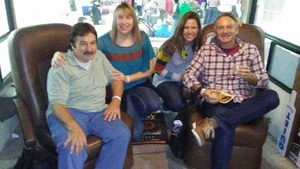 Food, Spirits and Laughter for the holiday kick off with friends. 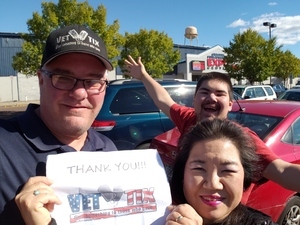 Thank you again VetTix!